To find one’s voice and to have the courage to speak it is sacred. But to be heard is divine. This wisdom applies to both people and brands alike. The art of listening is a great gift of life. Cultivating it has been incredibly hard for a person like me who has been struggling and striving most of my life. Crossing cultures made it even more challenging. Landing at fiercely competitive Cornell and Carnegie Mellon was no respite. Becoming the CEO of an entrepreneurial company made it harder. As a Muslim, being under relentless attack has made it very difficult to stay silent and simply listen. True listening begins when you are in equilibrium, when you have arrived, and when you are neither fighting, nor in flight. I have been conscientiously working on getting better at this divine art. All my life, I have searched for quiet spaces where I could be who I truly am. Nature, mountains, parks and especially national parks have provided that sacred space for me. Jordan Chepke, a very special colleague of mine at the office, shared this NPR story which brings nature to me in my busy life. It’s titled “Beyond Sightseeing: You’ll Love The Sound Of America’s Best Parks”. I hope you enjoy it. Once you are at the NPR website, do hover your mouse over the icon on the bottom left of the photo shown below. 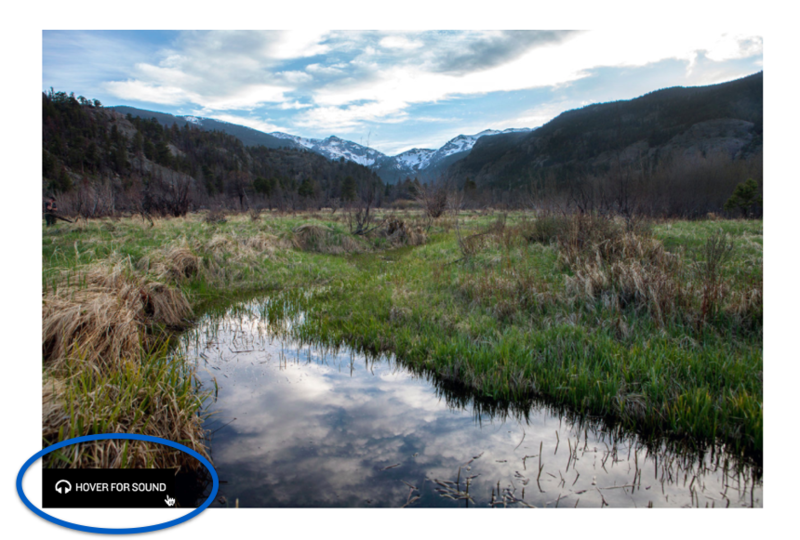 The sounds will transport you to Rocky Mountain National Park. What we can’t master in a lifetime, we either hire, befriend or marry. My personal journey to listening has been made easier with several gifted listeners at Elliance, one of my mentors Stan Marlan, and my wife. They have been teaching me the nuanced art of listening with the mind’s eye, adapting, and responding. They are coaching me on how to listen for meaning, and to identify signs of listening brands. Are you a listener? Are you surrounded by listeners? Are you working for a listening brand? Learn more about our branding services. Higher Education Marketing — Who’s Counting? deeply spiritual and sensitive human being. I know he inspires those who know and work with him. He has my utmost respect.